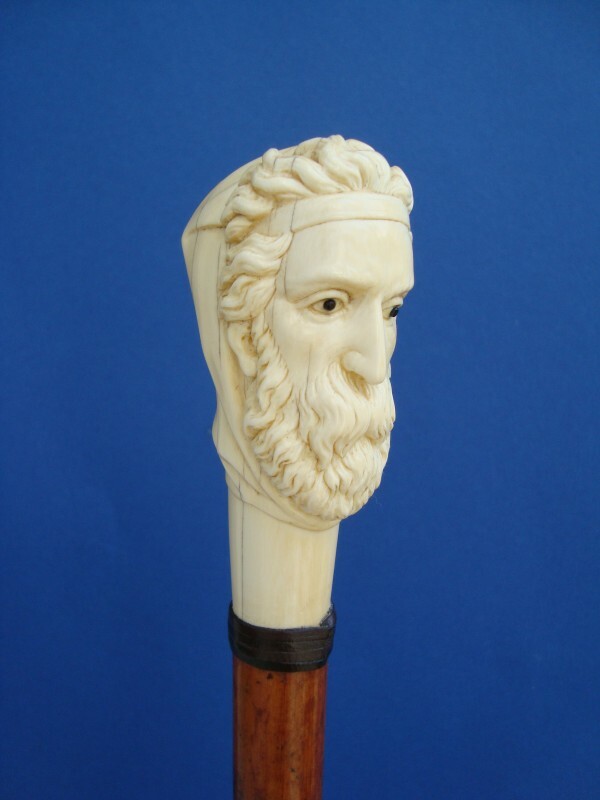 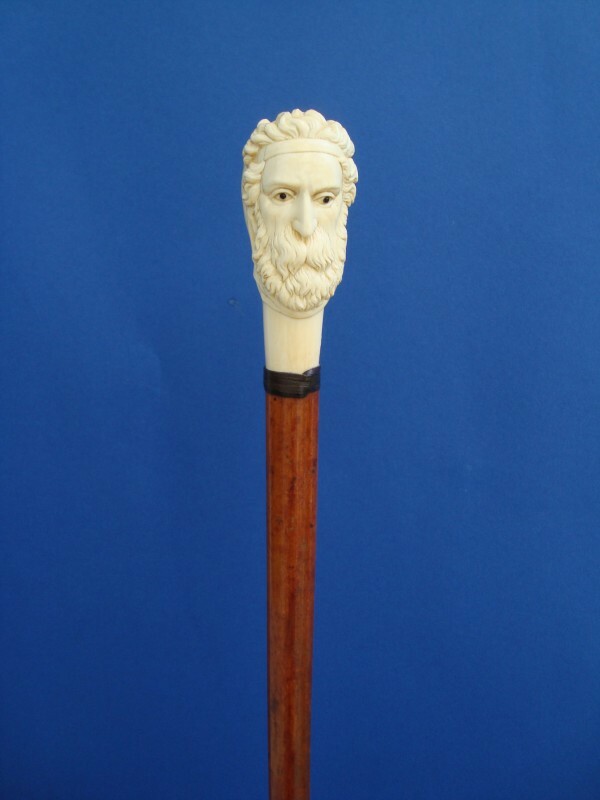 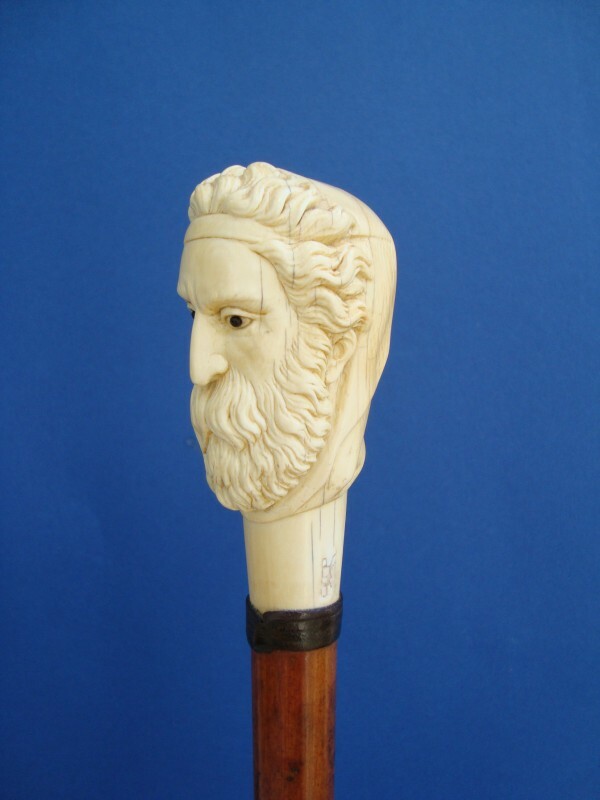 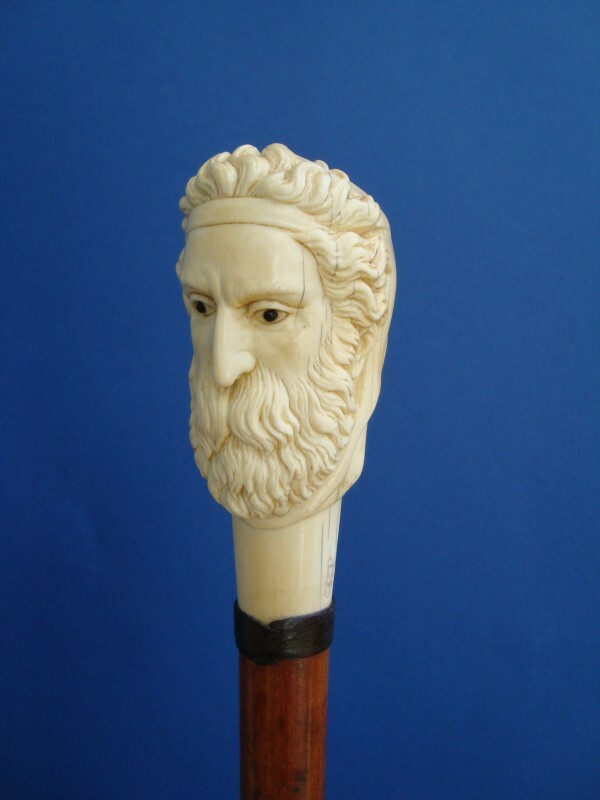 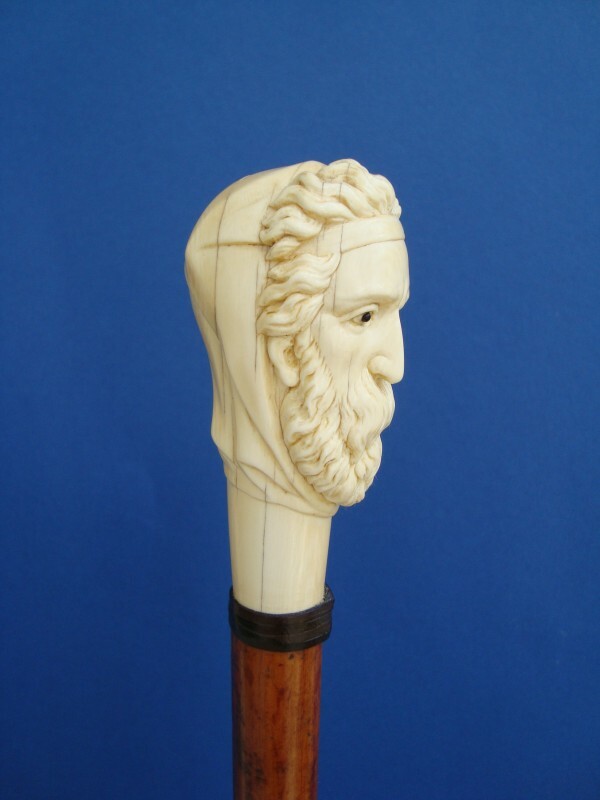 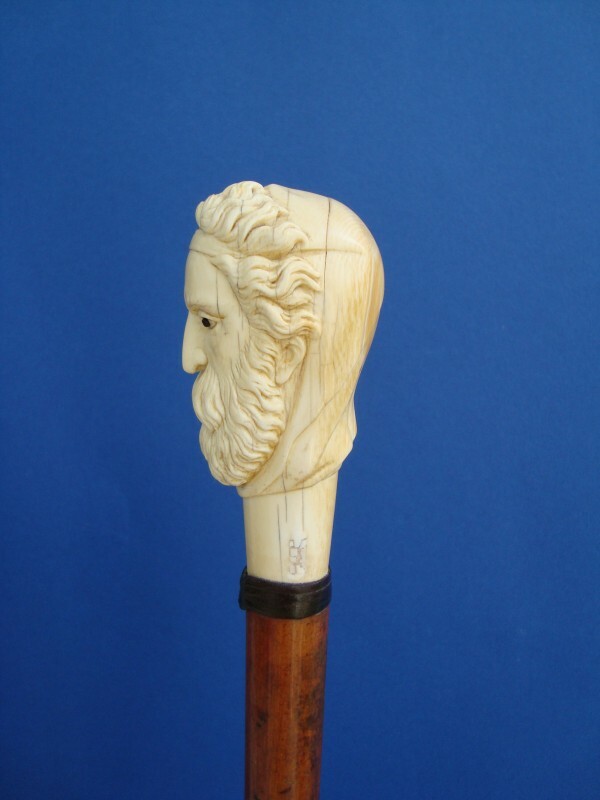 Walking cane, beginning of 20th century with a big head of a Roman or Greece scholar of bakelit. 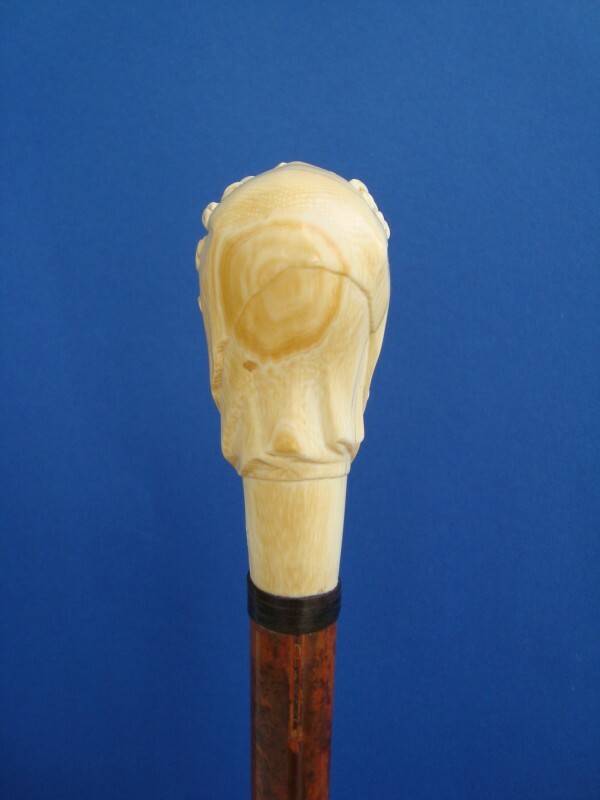 leather collar and a Malacca shaft with a nickel ferrule. 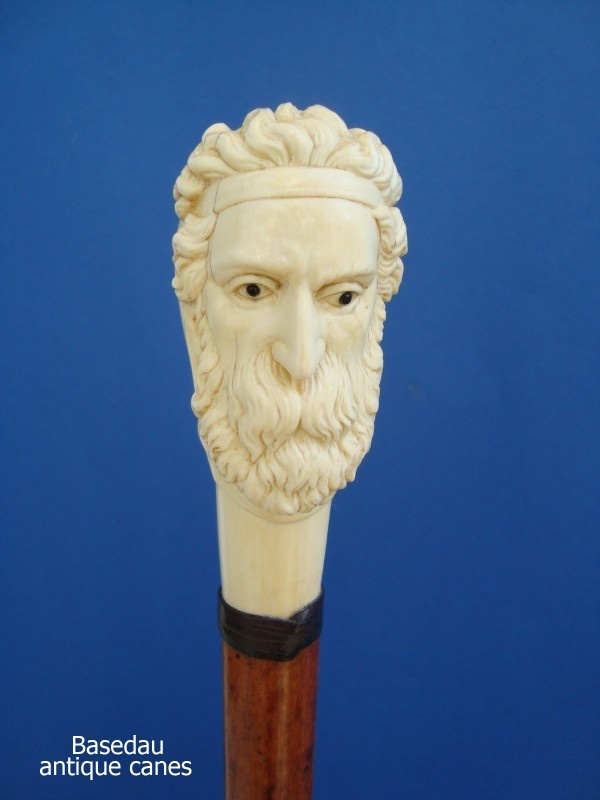 Hight of the head: 9 cm, 3,5", overall length 92 cm, 36 ".